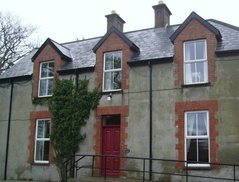 ​THE BEWGLAS CENTRE is a beautiful house standing in its own grounds and situated in scenic North West Donegal, close to Carrigart and 4km from Downings . The Bewglas Centre shares the church grounds. It is a Christian Youth Centre offering self-catering accommodation for up to 35 people and may be booked on a weekly or weekend basis or even for a day conference. It was refurbished in 2018. Updated information will be published shortly.